FOOD TRENDS: Trade Cupcakes For Pie? courtesy WildBlueberries.com. Move over cupcakes: pies are on the way. 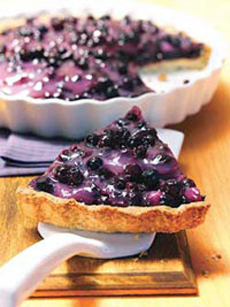 Pies, both sweet and savory, will be the top restaurant trend in 2011, predicts restaurant consultant Andrew Freeman & Co. While some restaurants are known for their pies—for example, upscale chicken restos like Pies & Thighs and Hill Country Chicken in New York City—we haven’t seen any pie bakeries yet. But they would be a welcome alternative to the still-mushrooming number of cupcake shops. Read the full article in Nation’s Restaurant News, which suggests additional food trends. Find many types of pies in our gorgeous Pie & Pastry Glossary. See our favorite pies and pie recipes in our Pie & Pastry Section.